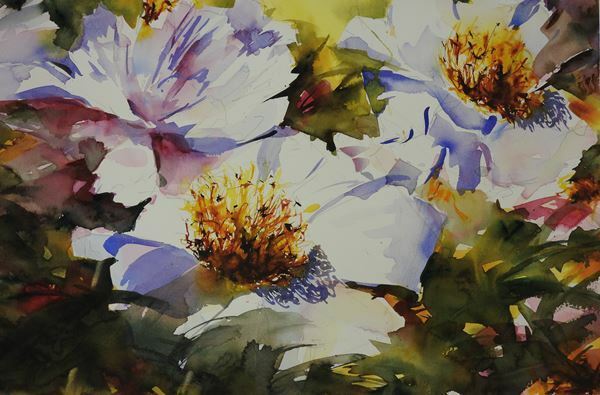 Learn to paint and capture light, utilizing transparent watercolours that truly glow. Hi-Sook will lead you through demonstrations that show you how to create glorious florals from a bright sunlit petal, to a single bloom, to a large bouquet. Emphasis will be placed on basic techniques and impressionistic style that are easy for any skill level to learn. Hi-Sook Barker is a full time teacher known for her floral and landscape paintings in an impressionistic style. She is an elected member of the Canadian Society of Painters in Watercolour. Currently Hi-Sook teaches at several locations throughout Durham Region. Her original works can be found in collections all over the world.